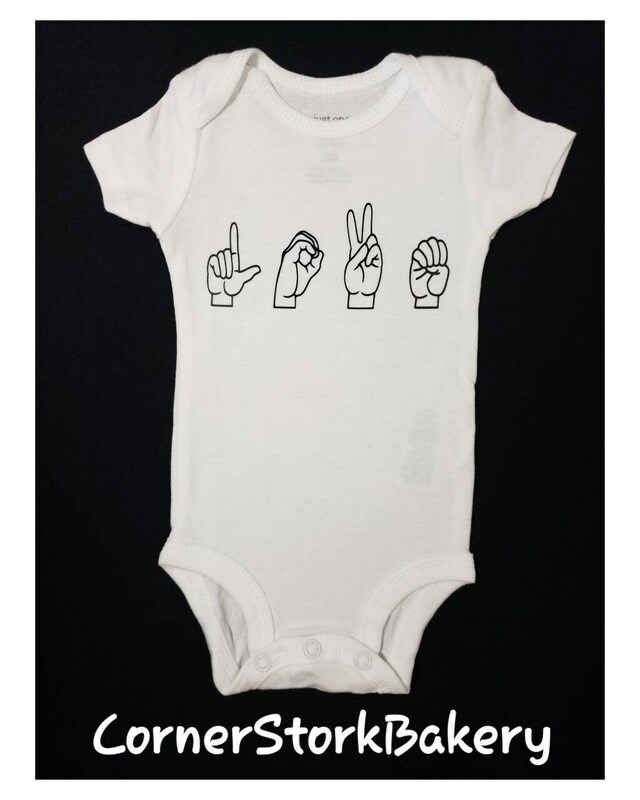 Custom made sign language "Love" Baby Onesie makes a sweet and cute baby gift. It can be given to reveal a pregnancy, reveal baby's gender, a cute baby shower gift, for a holiday, or just because. Great for those who with a loved one who signs. It's sure to warm their heart. This listing is for 1 "Love" sign language custom onesie. • 1 Carter's brand white short sleeve onesie with "Love" sign language design made with black htv. Can be made in different colors per request.